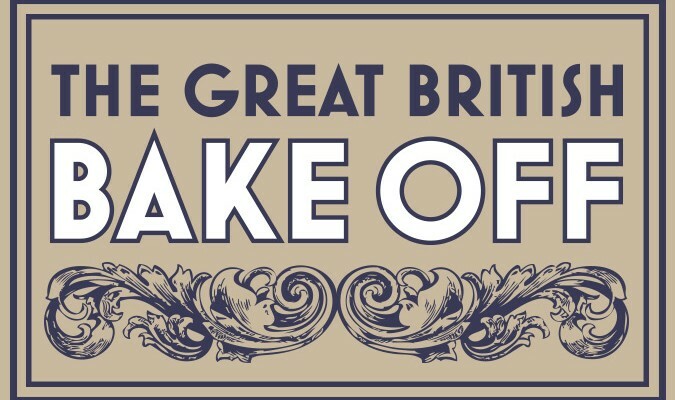 The Great British Bake Off was back on UK television on Wednesday, and to celebrate everyone’s favourite 11 weeks of the year, every week I am going to be baking something inspired by the previous week’s theme. And to kick things off, here comes Cake Week. The signature challenge set by Paul and Mary was to bake a drizzle cake. And so I have adapted a BBC Good Food recipe for a summer berry loaf, into my very own almond raspberry drizzle cake. The photos below are definitely not my best work, but the cake itself is perfection. 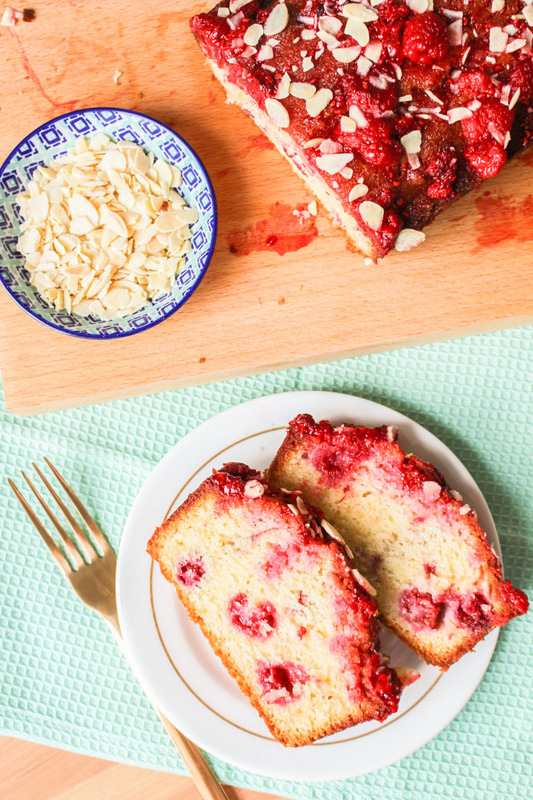 Soft and moist almond cake, topped with fresh (or frozen) raspberries and slices of almond. And not a soggy bottom in sight. The almond flavouring for the loaf cake itself comes from a couple of teaspoons of almond essence, as well as a little ground almond in the batter. Replacing flour with ground almond is a risky business, but doing so in such small quantities isn’t going to hurt. The ‘drizzle’ comes in the form of fresh raspberries, mixed with a squeeze of lemon juice and some sugar. It might not quite be the drizzle that the GBBO was asking for, but I’m going to let myself off. That’s the great thing about being your own judge. I expect that this cake would also work wonderfully with cherries (Katie’s favourite) but I wanted to try something a little different from the traditional almond/cherry combo for this ‘signature bake’… I’m living out my Bake Off dream here, can you tell? I wish I had one of those cute little sketches from Bake Off of my cake. If only I had an artistic bone in my body. Alas, you are going to have to make do with my very rushed photography. The best thing about this cake is that it is really easy and quick to make, which is wonderful in summer when having the oven on all weekend is making it too hot to do anything, let alone bake all my blog’s recipes for the next three weeks. Yep – three weeks. That’s six things (if you ignore the snack bar failure). We are off to see the Harry Potter play next weekend, and then I’ve got a trip to Center Parcs lined up for the weekend after, so instead of leaving this blog to die for the next fortnight I actually decided to get myself ahead. Now I just have to get through the mountain of washing up before work tomorrow. So, I guess I’ve survived Week 1. Biscuit Week is up next, and I’m going to be giving you my spin on their technical challenge. And if you know me at all, you know that ‘my spin’ pretty much always means ‘more chocolate’. 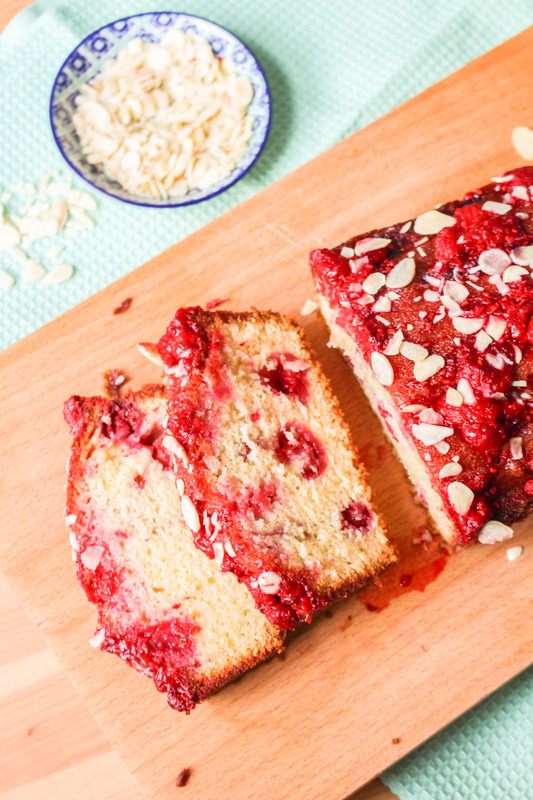 A perfect almond loaf cake, topped with a raspberry and lemon drizzle. Preheat the oven to 180°C / 355°F (160ºC fan), and grease and line the bottom of a 2lb loaf tin. Beat the room temperature butter with the 175g of caster sugar using a stand or hand mixer, until light and fluffy. Add the eggs, almond extract, and vanilla extract, and beat well until all mixed together. Scrape down the sides to make sure everything has been well combined. Add the flour, ground almonds, baking powder, and salt. Gently mix on a low speed until just combined - don't overmix! The batter will be very thick, but that's okay. This will help the raspberries not to sink to the bottom. Spoon half of the batter into the pre-lined loaf tin, and level out with a knife or the back of a spoon. Place about half the raspberries into the batter, making sure they are evenly distributed over the whole tin. Spoon the remaining batter on top, and level out again. It doesn't have to be perfect, and it is fine if little bits of raspberry are poking out of the top. Place the loaf tin in the oven for 50 minutes, or until a skewer or toothpick inserted into the cake comes out without crumbs on it. 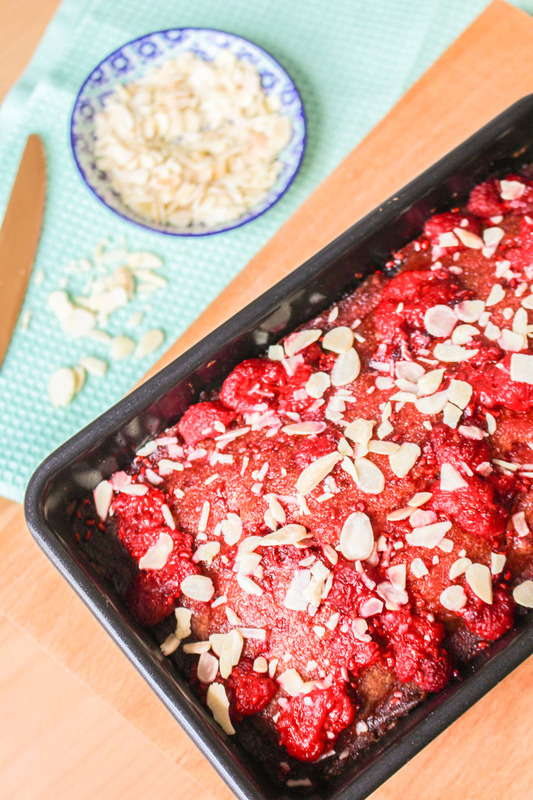 Whilst the cake is baking, you are going to want to prepare the raspberry topping. Put the remaining raspberries in a small bowl, along with the lemon juice and 75g caster sugar. Stir the raspberries until coated in the juice, and give them a little bit of a beating to release some of the raspberry juice. Pop in the fridge whilst the loaf is baking. Once the cake has finished baking, leave in the tin and place on a wire rack for 5 minutes to cool. Using a skewer or toothpick, poke holes in the top of the loaf to allow the drizzle to soak down through. Pour the pre-prepared raspberry topping onto the loaf, making sure the top has an even coating. Leave in the tin to cool completely. 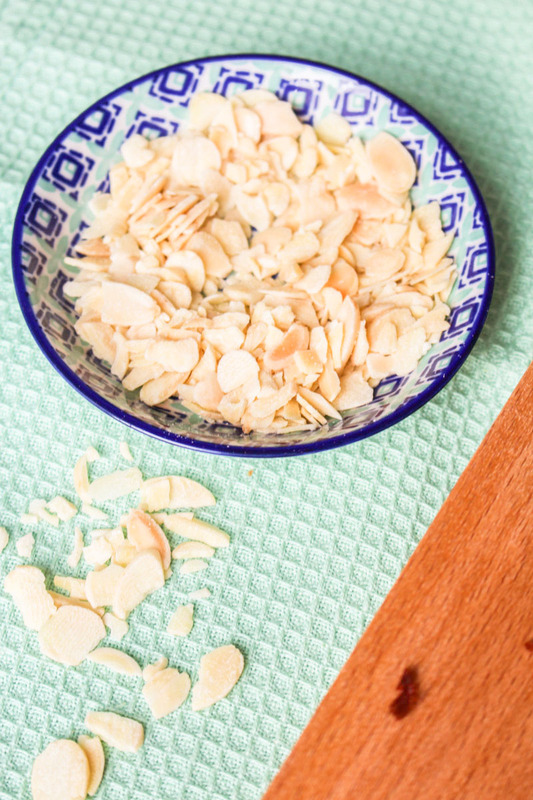 To serve, remove from the loaf tin and sprinkle with flaked almonds. This loaf cake will keep for 3-4 days if stored in an airtight container in a cool place. The pre-drizzled cake can be frozen for up to 3 months. This is a great looking cake, perfect for summer! And your post reminds me that I still need to catch up on the first ep of GBBO! Yes, you need to catch up soon – and it’s on again tonight too!